Socks in 98% Cotton and 2% Elastanne. The genius of the brand was to rehabilitate the color and printed for men who dare to show their difference and their taste for optimism and dynamism on their socks . 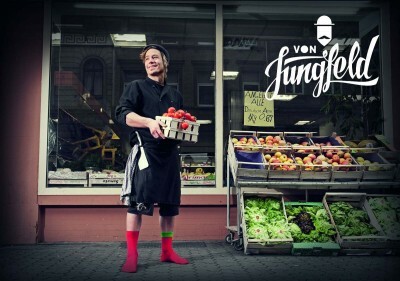 Von Jungfeld is a German brand specialized in manufacturing men's socks. The rules of this brand based on three principles. The quality of manufacture. 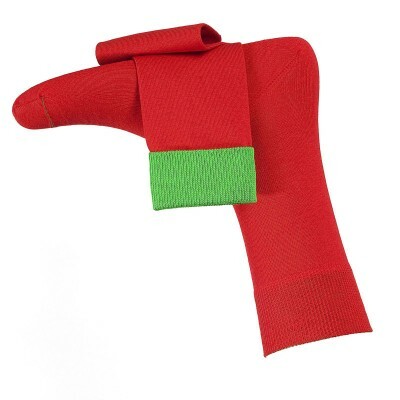 All their socks are produced in Germany by a skilled and experienced workforce. Style, combining modern comfort and robustness. Colors, green, red, pink, yellow, orange, blue, purple, violet. Von Jungfeld socks are comfortable and durable. To this they combine originality, elegance and explosion of Colors . Von Jungfeld offers a wide range and variety of models to the tastes of each of us.